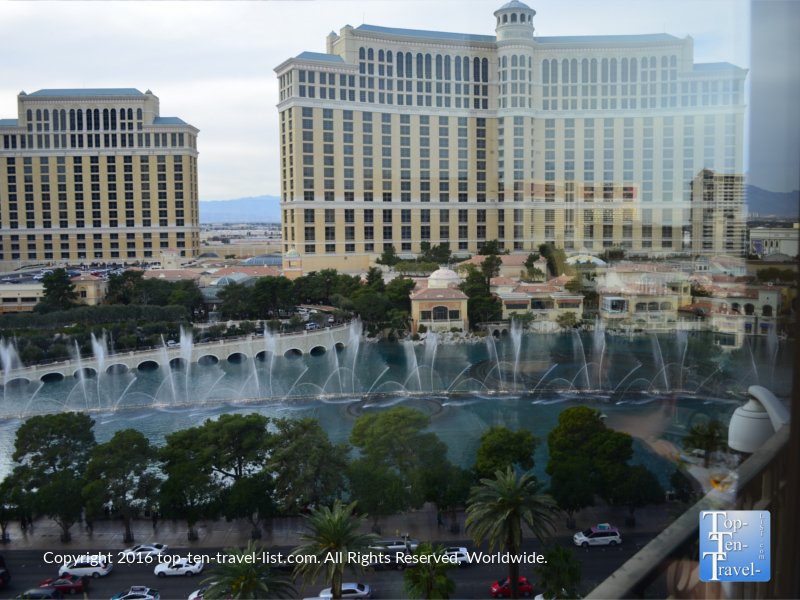 Attraction of the Week: Brunch at The Eiffel Tower Restaurant in Vegas - Top Ten Travel Blog | Our experiences traveling throughout the US. 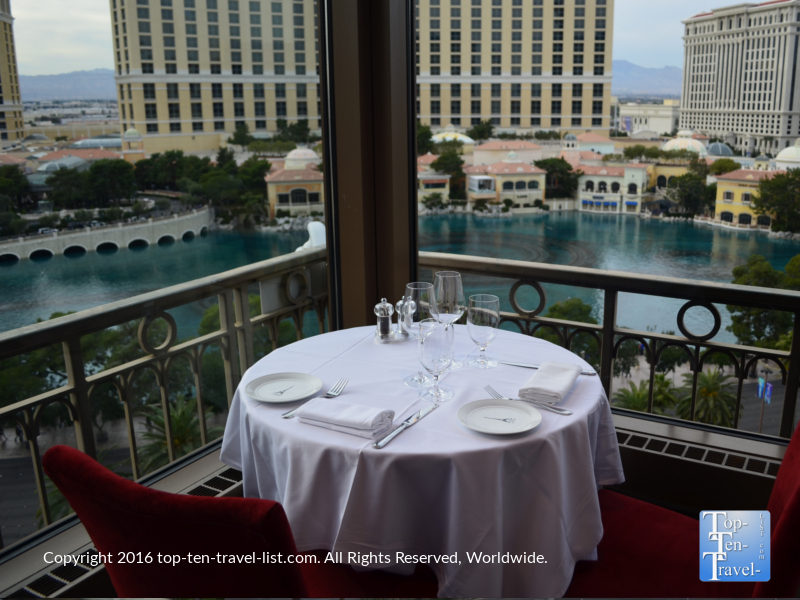 Imagine dining on delicious French cuisine while surrounded by panoramic views of the fabulous Las Vegas Strip! For stunning views, the most romantic setting, and exquisite service, look no further than the Eiffel Tower Restaurant, located on the 25th floor of the charming French-inspired Paris Hotel. As it stands as one of the most popular fine dining experiences in Vegas due to the breathtaking views (it definitely earns its’ reputation as being home to the best view on The Strip), a reservation for dinner is absolutely required if you wish to dine alongside the dazzling lights. However, don’t rule out a daytime visit just yet. Visiting for brunch is a wonderful experience: one that offers the advantage of fewer crowds and a quieter setting for a date. During the day it is much easier to get a window seat. 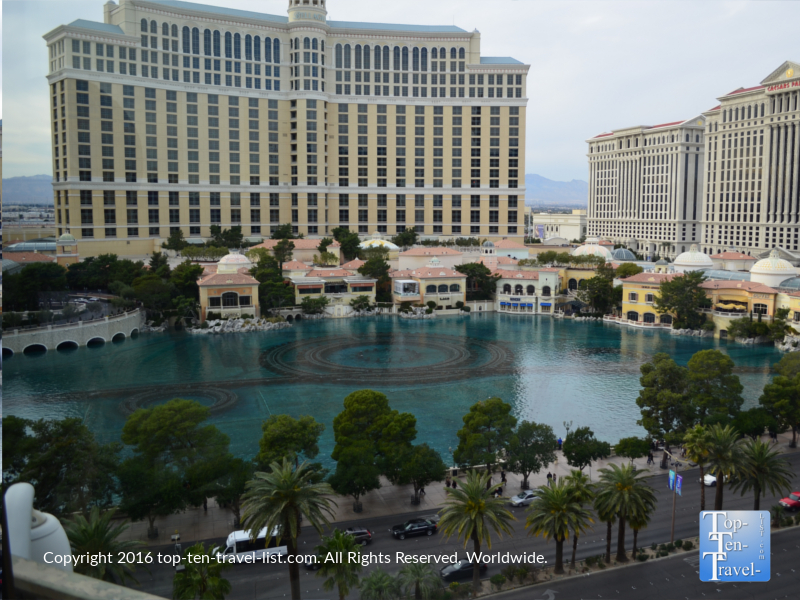 In fact, we received a wonderful window seat with a front row ticket to the spectacular Bellagio Fountain show). Seating is first come, first served, so I guess it just depends on how busy the restaurants is on any particular day. The menu is small, yet still offers a variety of selections for everyone. And, the staff is more than willing to accommodate any special requests. They offer a separate gluten-free menu, and even bring out gluten-free bread, so don’t hesitate to ask! An example of a few selections you will find on the brunch menu include Paillard of Salmon, Aged Parmesan Crusted Chicken, Eggs and Lobster with Caviar, New York Strip Steak, and French Toast. I highly recommend trying out either the Baked Crepes or French Bucattini Pasta. Both these entrees were affordably priced, not to mention the perfect lunch sized serving which neither overstuffed you (you never want a lunch to drag you down when you are walking around the Strip all day!) or left you hungry. 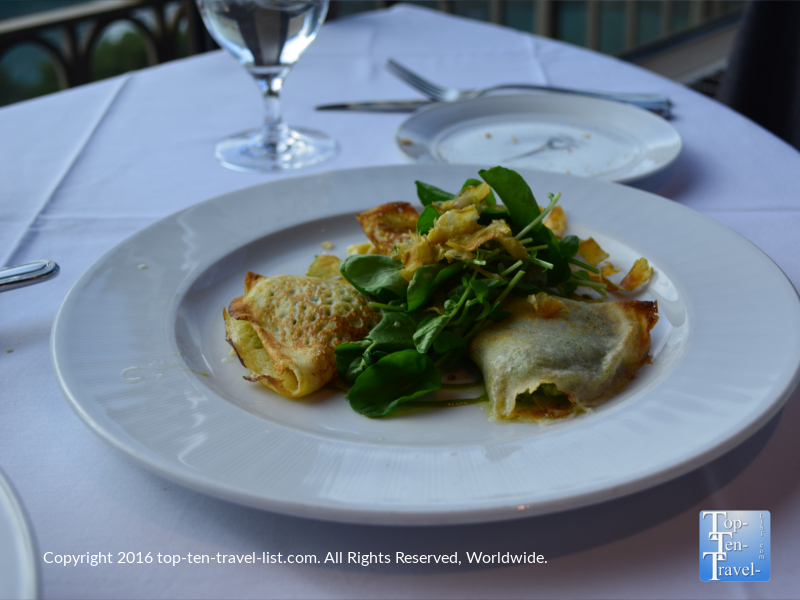 The Baked Crepes (pictured below) were a tasty combination of Parmesan cheese, artichokes, Roasted Tomato Coulis. I am not normally a fan of sweet crepes, however, this vegetable version was pretty darn good! 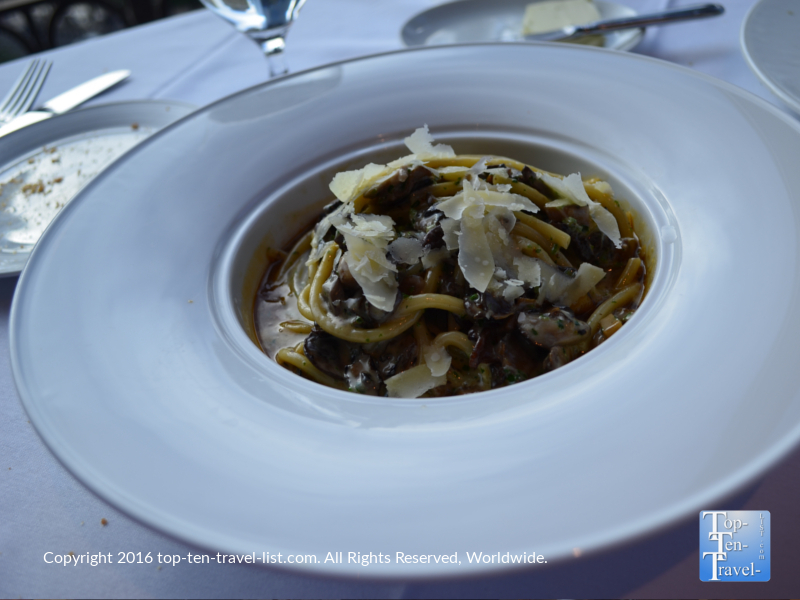 The French Bucattini Pasta was a delicious pasta dish consisting of a mixture of Trumpet Royale Mushrooms and Aged Parmesan. A delicious sauce always makes or breaks a pasta dish! 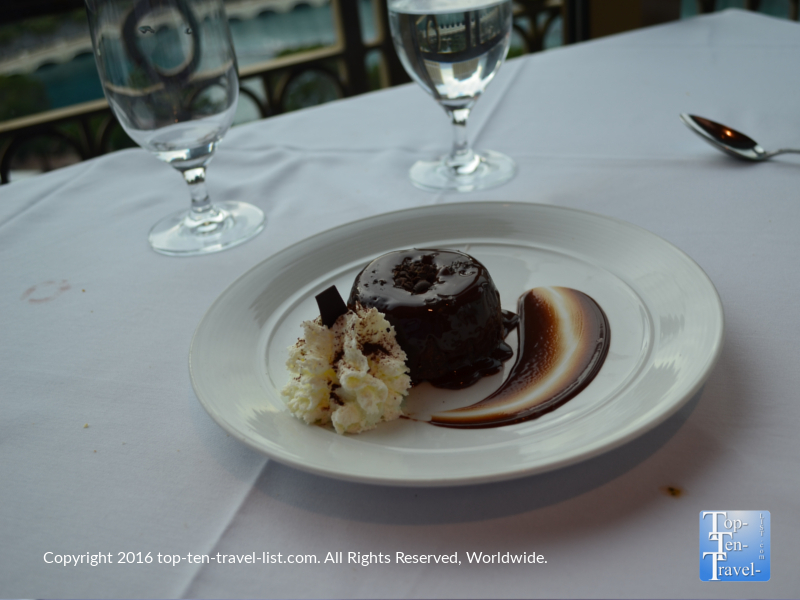 And of course, you have to treat yourself to at least one dessert while you are in Vegas (it is Sin City after all)! The Eiffel Tower is as good as anyplace to find a new favorite sweet. The chocolate cake pictured below was even better than it looks in the picture. 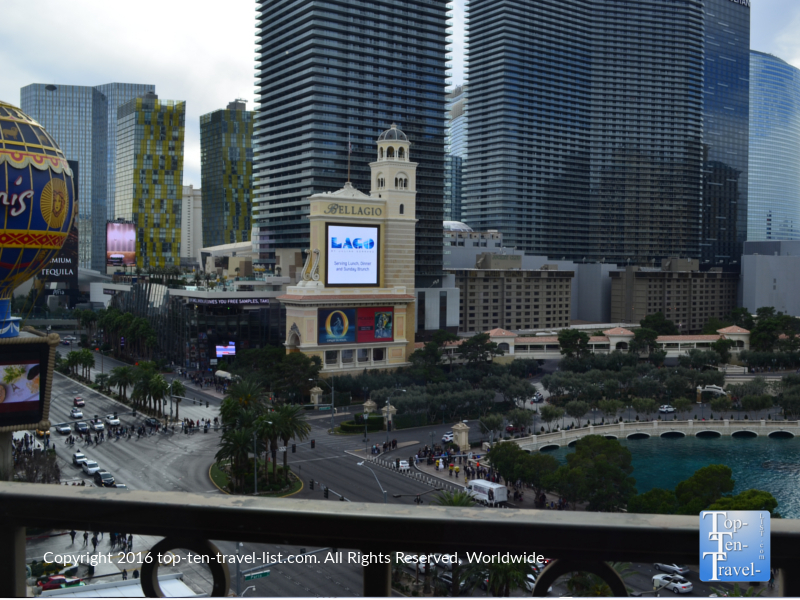 As you dine on fantastic French cuisine, you will be treated to amazing views of The Strip in every direction. 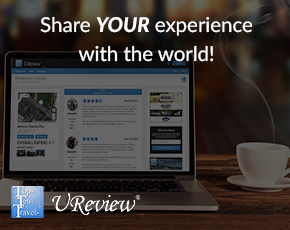 Take a few looks below at the beautiful daytime views! The whole experience is quite interesting. First you will take an elevator up to the 25th floor. Then you will pass the kitchen staff where you can sneak a peek at the cooks in action before entering the restaurant. Next, you will sit back and relax as you take in the gorgeousness around you! Although I cannot comment on the dinner dining experience, brunch was pretty spectacular. 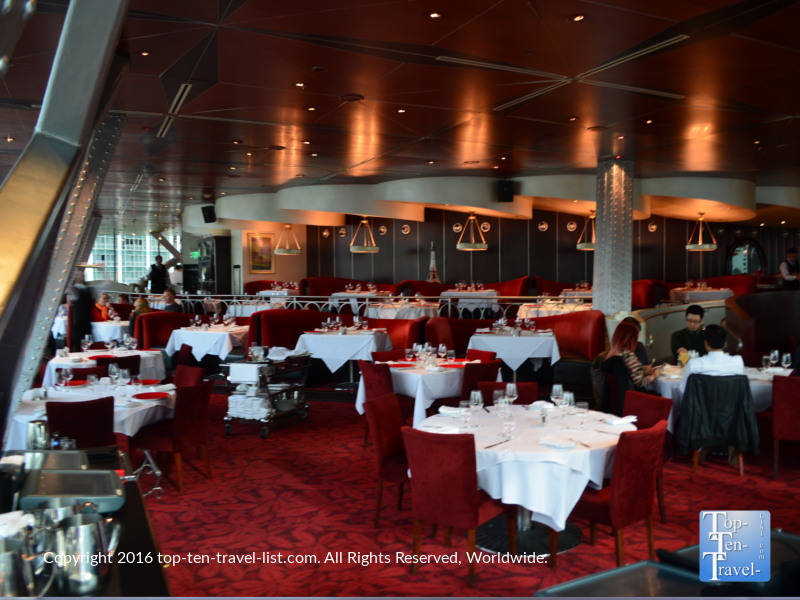 Honestly, I was a bit surprised at how desolate the restaurant looked for Sunday brunch. Service was prompt and friendly. Our waitress accommodated our special requests without any troubles. 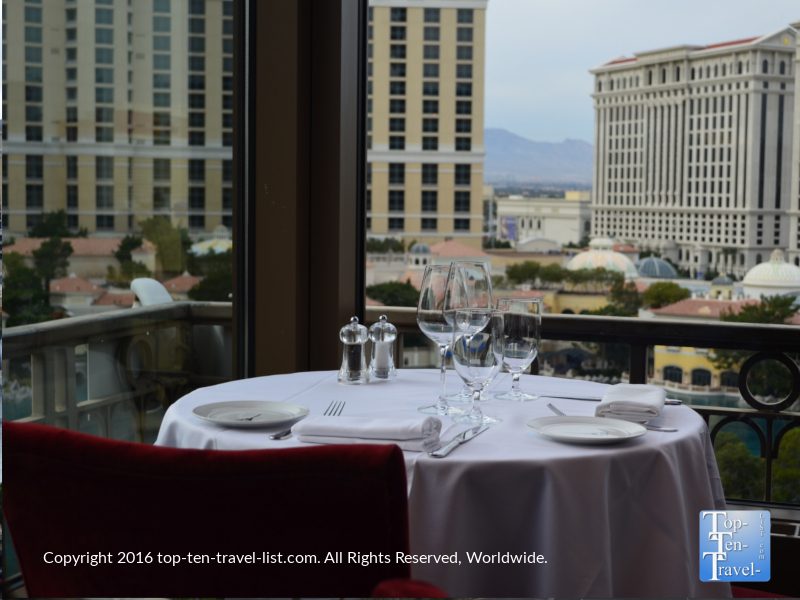 If you are seeking a great place to take a date in Vegas, or just looking for a restaurant with great views, the Eiffel Tower Restaurant has you covered. 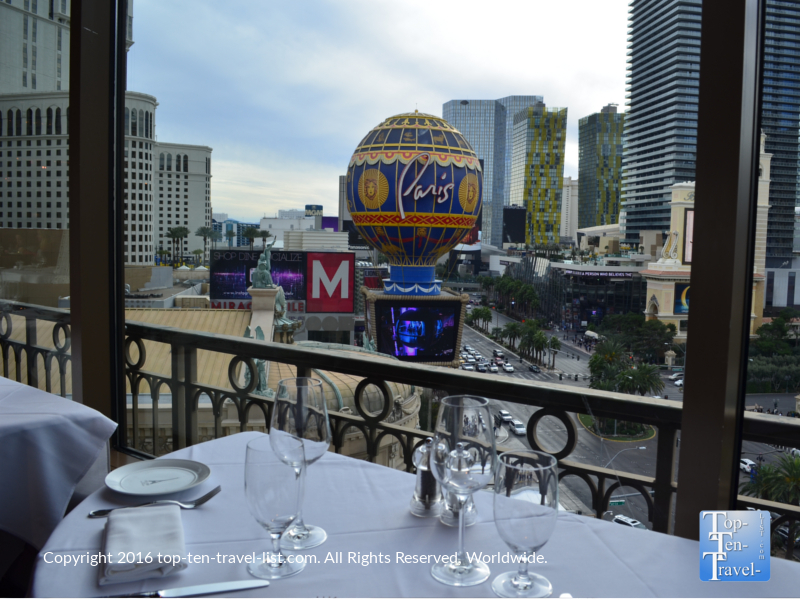 While great food and service is a must, I always think you should choose restaurants that offer something you could never get at home, and the Eiffel Tower Restaurant surely pleases with out of this world views of The Strip. 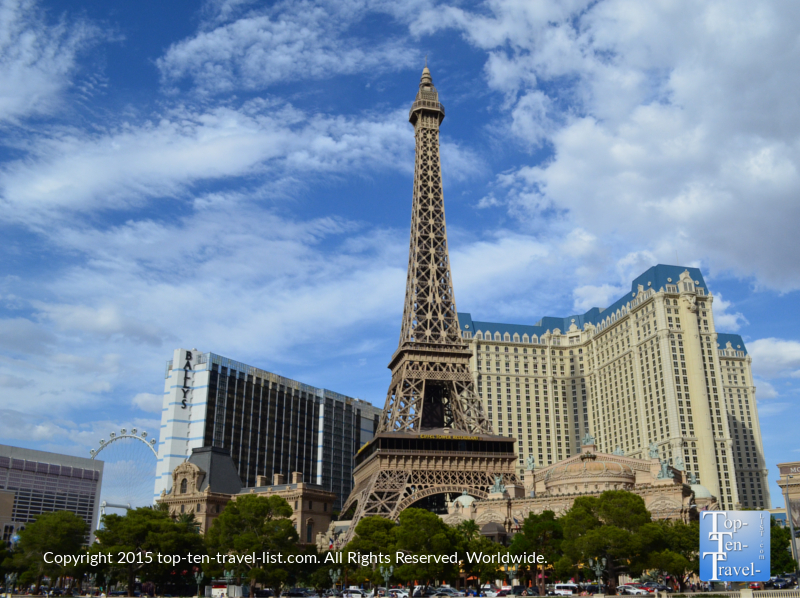 The Eiffel Tower Restaurants is located on the 25th FLoor of the Paris Hotel (3655 S Las Vegas Blvd, Las Vegas, NV 89109). 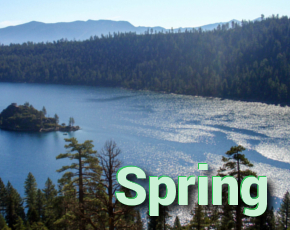 Call (702) 946-7000 for reservations.